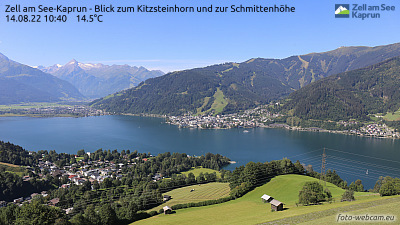 The Zell am See-Kaprun region is surrounded by mighty mountain peaks. Lake Zell lies in the centre. You can enjoy an active holiday at any time of year in this part of Austria. Enjoy sport, wellbeing and local and international culinary specialities. An important tip to guarantee your perfect holiday: If you choose our farm, the Mitterberggut, as your holiday destination, don’t forget to equip your car for the winter weather. Zell am See-Kaprun is one of the most popular winter sport destinations in the Salzburg region, and you can enjoy excellent skiing on the 138 kilometres of pistes in the Schmitten, Kitzsteinhorn and Maiskogel mountains. The Kitzsteinhorn glacier is unique, as snow is guaranteed from early autumn right through to summer. In winter it offers brilliant freeride pistes for your off-piste experience as well as Park & Pipe skiing, including Austria’s biggest superpipe. Can an active winter holiday in Austria get any better than this? 138km of slopes are waiting for you! Alongside the Schmittenhöhe with 77 kilometres and the Kitzsteinhorn with 41 kilometres of ski slopes, the Maiskogel family mountain with 20km of slopes also has excellent winter adventures in store. Professional skiers can enjoy steep slopes and spectacular descents on Schmittenhöhe or Kitzsteinhorn. But don’t worry, there are a lot of easy slopes too. The Maiskogel and Schmittenhöhe are tailor made for the little guests. Zell am See-Kaprun also has challenges for thrill seekers. The Kitzsteinhorn is particularly popular among freeriders and freestyler. Off-piste tracks, powder and a huge fun park for all levels is guaranteed. Nordic Walking is also a popular sport in winter. In Zell am See-Kaprun you will find numerous trails that are perfectly suited for Nordic Walking tours. The soothing full-body training in the midst of the picturesque mountain landscape of Zell am See is truly a delight. As far as the eye can see, cross-country trails of a total of 40 kilometres in length wind their way all through Zell am See-Kaprun and into the neighbouring regions. Enjoy the “high trail” loop around the lake Plettsaukopf at the Schmitten. You’ll have a wonderful view over the whole region up there! Do you prefer gliding over ice? Then why not try ice skating or ice hockey? Depending on the temperature you can enjoy the frozen Zeller lake or head for the local ice rink in Zell or in Kaprun. Tobogganing is always fun, regardless if enjoyed with the whole family during the day or as a couple under moonlight. There are numerous tobogganing tracks between the Kitzsteinhorn and Schmittenhöhe. Try the well lit toboggan run from “Köhlergrabe” through “Schmittental”! A special bus will get you there. At the Jausenstation Guggenbichlyou can enjoy a 2km toboggan run as late as 11PM in the evening! Want to climb up the mountain with your touring skis? The Maiskogel is perfect for beginners and enthusiasts. The slopes are closed exclusively for ski touring every wednesday evening. We’ve got brand new ski touring routes high up at the glacier Kitzsteinhorn which ensure enough snow even in autumn. They are called the „Eisbrecher“ (Icebreaker) and the „Schneekönigin“ (Snow Queen) which run down beside the pistes. The „Schneekönigin“ runs from the Langwiedboden to the Alpincenter, negotiating 474 altitude metres. The „Eisbrecher“ also starts at the Langwiedboden but runs past the Alpincenter to the top station of the Maurer lift at 2.875 metres – with 899 altitude metres. All endurance athletes treasure training at these high altitudes where the „thin“ air has less oxygen.